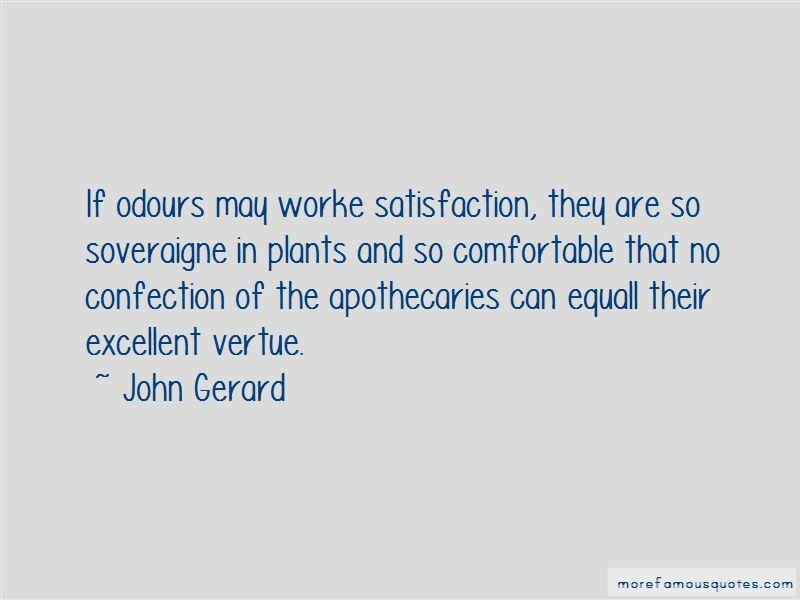 Enjoy the top 5 famous quotes, sayings and quotations by John Gerard. 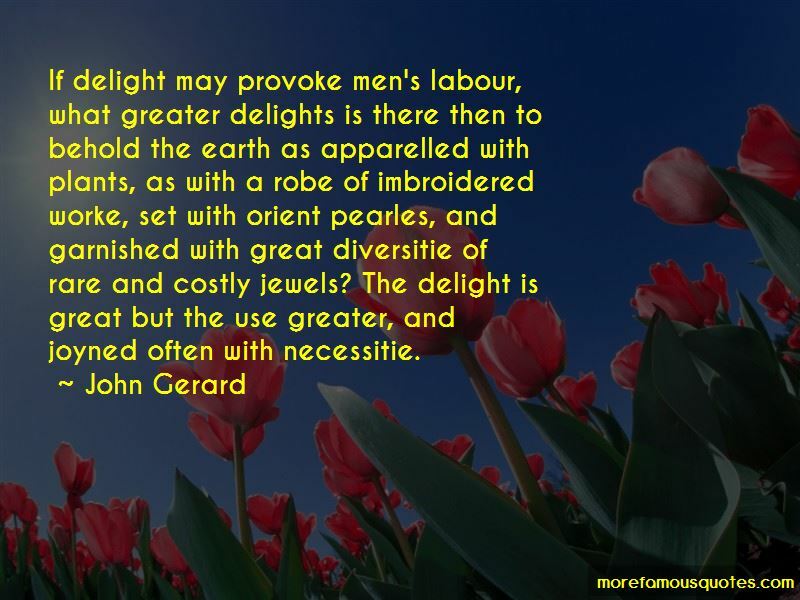 If delight may provoke men's labour, what greater delights is there then to behold the earth as apparelled with plants, as with a robe of imbroidered worke, set with orient pearles, and garnished with great diversitie of rare and costly jewels? The delight is great but the use greater, and joyned often with necessitie. The savor of the water mint rejoiceth the heart of men. 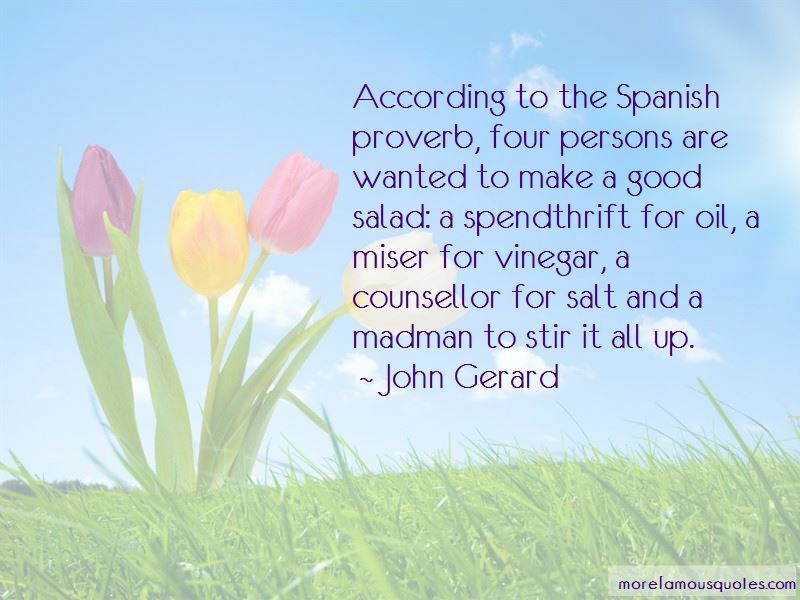 Want to see more pictures of John Gerard quotes? 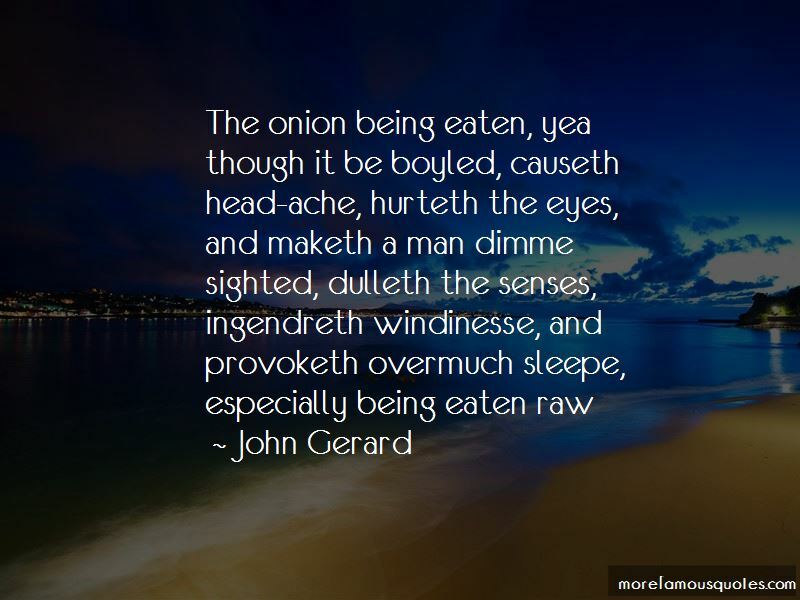 Click on image of John Gerard quotes to view full size.